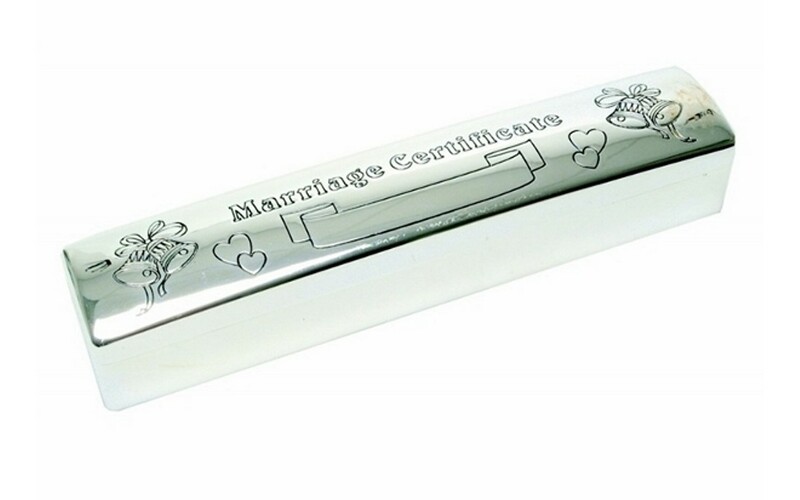 Personalised Engraved Silver Plated Marriage Certificate Holder. This beautiful holder measures 22.5cm long, it has a hinged lid and a dark blue velvet lining. The images on the lid depict Wedding bells and Hearts. We will engrave names and/or date in the scroll section on the lid of the holder. We also have Christening and Birth Certificate Holders in the same range. A perfect Wedding gift for the newly married couple.